After purchasing “The Solution” for Grade 10 Mathematics I want to order “The Solution” for Grade 11. My marks have improved a lot and it is all because of your study guide. 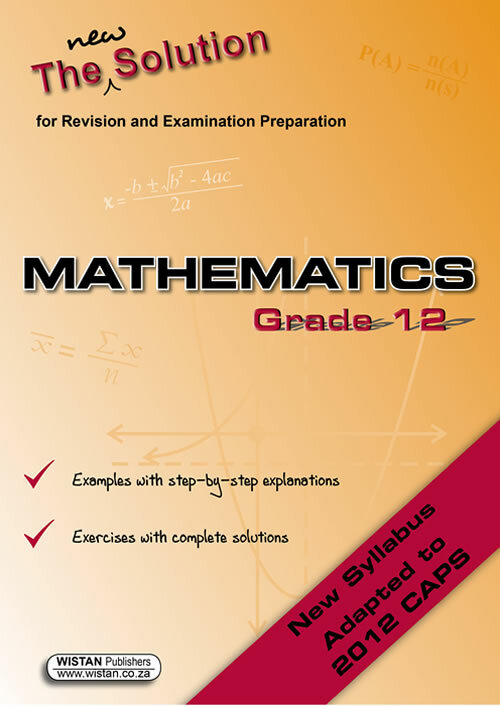 The Grade 12 study guide is excellent, especially for Financial Maths and Stats! The learners love your excellent study guides. This is the way maths has to be taught. Thank you so much for an excellent study guide. It really makes maths easy to understand! My son got 88% with the help from your study guides, thank you for your help!